Japanese whisky is proving to be rather popular at the moment and not being one to shy away from providing you with some lovely new whiskies, we were very pleased to have Shinji Fukuyo visit our shop for a very special tasting to launch the latest two releases from Suntory. 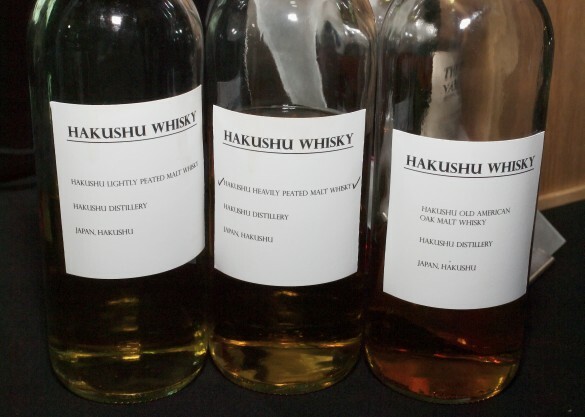 These bottlings are what Shinji describes as being the ‘next generation’ of Suntory whisky – Yamazaki and Hakushu Distiller’s Reserve. 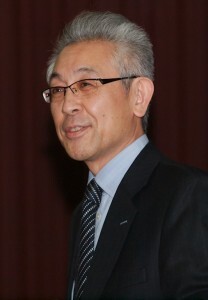 Shinji, the fourth Chief Blender for Suntory since they started making whisky, was joined by writer Dave Broom to present the evening. Dave has spent quite a bit of time out in Japan over the years and was asked to come over to Tokyo two years ago to assist in the home launch of these whiskies – it’s quite the challenge being a Scotsman in Japan, teaching locals about Japanese whisky! Two years on he joined us to do the same in London. 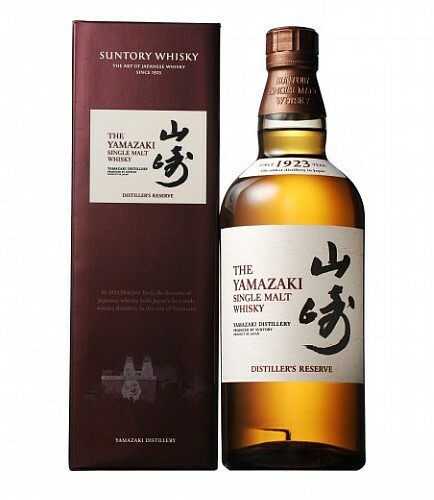 For those of you not familiar with Suntory, they own two rather special malt distilleries in Japan – Yamazaki and Hakushu. Yamazaki was where it all began for them back in 1923, and it proudly boasts the title of Japan’s first and oldest distillery. It is based in Kyoto, in an area believed to be the origins of the purest water in Japan – the old name for the area was Minaseno, “the field where water originates”. There are three rivers that converge on the distillery, which provide some of the country’s softest water, an element that Shinji believes is key to the style of his whiskies. 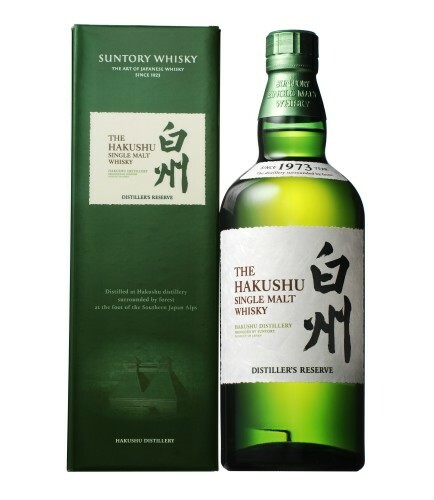 Half a century later, in 1973, Hakushu was born, nestled deep in the Japanese Southern Alps. 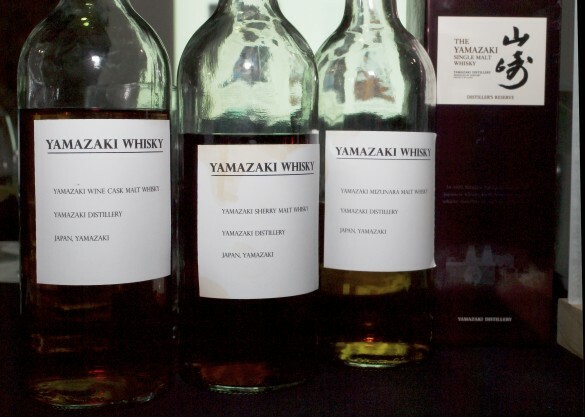 In constrast to those from Yamazaki, whiskies from the distillery tend to be lighter and crisper in style. 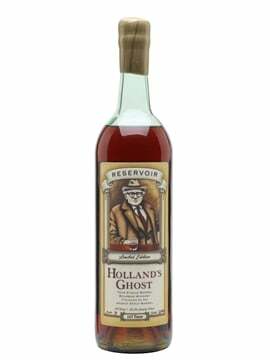 Nose: Fruity nose with lots of red fruits – strawberries, raspberries – backed up with a touch of peach, honey and some notes of sandalwood too. Palate: Quite a creamy texture. Fruits dominating here once again with strawberries still and some candied cherries too. There was even a bit of pineapple lurking in there somewhere. Quite light and delicate. Finish: Mild warmth to end with quite a sweet finish but backed up with a hint of bitter cherry. This sweet finish became more prevalent with water added. Comments: It’s rare that I find wine cask matured whiskies particularly special. I always find them interesting but often they’re one dimensional. This had some good layers to it though and has the potential to be quite interesting if it were bottled as it is! 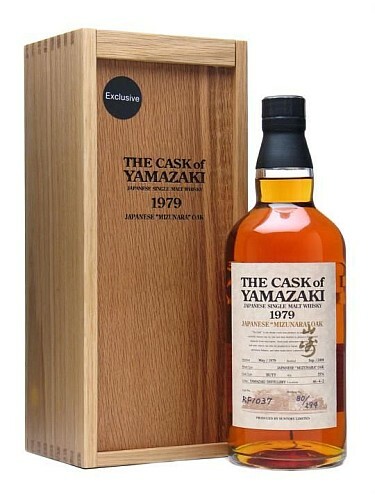 Interestingly, Shinji commented on the rigorous process of selecting the casks for this whisky. Each cask is inspected by hand (and nose) and is then washed, shaved and cleaned if not already perfect. Nose: Big gutsy nose on this one. Full of rancio aromas, very woody, not much fruit (just a small amount of dried fruit) but more coffee beans, dry bark, cacao beans, bitter chocolate and a light caramel-like character. Palate: Quite tight/closed, with a sweet/sour clash going on. Very mouth drying, sappy, dry wood and a hint of ash. It was like coming back to a fire the morning after. Alongside this there were some nutty notes, like walnuts and brazil nuts (not a nut) with lots of dried fruit like century old Christmas cake and packed full of tannins. With water, it became softer and creamier but still this bitter, astringent, nutty finish dominated. Finish: Long, dry and hot. I think this was coming in at about 60-62%abv. Comments: This is not a whisky to be bottled on its own. It has some wonderful elements within it, the nose was beautiful, but quite simply it’s just too old. This is where Shinju’s skill as a blender really comes to light! Nose: Spicy nose almost reminiscent of a rye whisky. It was hard to target exactly what spices were coming through, it was more like a pot of mixed spices rather than one key spice, but they were quite scented and aromatic. Pink peppercorns maybe? Quite delicate, certainly in comparison to the previous whisky’s nose! Palate: Seriously aromatic, creamy, and floral, again with this spice coming through. Definitely pink peppercorns now and just a hint of fruit. 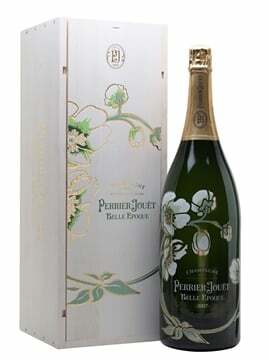 The aromatic spices and floral characters resonated more so with water added. Finish: Interesting kick at the end. Spicy yet soft. Comments: Mizunara casks are quite unique. When asked what characters come through from this type of Japanese oak, Shinji merely said that Mizunara smells of Mizunara! He did then develop on this, commenting that it smells of temples. 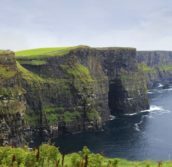 He had a good point – those aromas of incense, spices and aromatic smokiness all suddenly fell into place and made sense. Nose: Delightfully green! Grassy, vegetal, green fruit, kiwi, grape, green apple, grapefruit. The very lightest touch of smoke – if I didn’t know it was lightly peated I probably wouldn’t have picked this out. If any of you grew up in the countryside, in Hertfordshire, and went walking through the fields, around harvest time…well it smells just like that. Palate: Touch of sweetness coming through, yet very fresh and clean, with a hint of acidity even. Still very green though again with the cut grass, lime, kiwi, grape. There was even a pine/spruce note in there which was lovely and just a touch of juniper. Very subtle and delicate. Finish: Very light, delicate and soft and exceptionally well balanced. Comments: This was one of my favourites of the night. I’d love it if they bottled this as it is! One minute I felt like I was walking through the fields back home, the next I was in Scotland going through a pine forest. At just 2ppm (roughly) the smoke element was very subtle and often rarely detected at this level but it appeared to add that extra edge to make this that bit more special. Just, absolutely delicious. Nose: The smoke took a bit of time to show on this one. At first I couldn’t really pick it up but after five to ten minutes it really came through, almost like a bonfire with a medicinal kick. Lots of dry smoke quite a bit of pine and spruce. Dave Broom added a great addition here also with “chopped railway sleepers”! 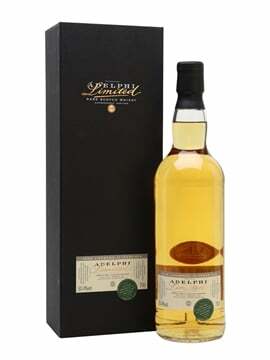 Palate: Sweet touch at the beginning, again with dry smoke and the peat kicks in on top of the sweetness. There’s a great balance between these two elements. The smoke really develops in the mouth and it’s like being at a bonfire that’s been burning late into the night and surround by ash. It packs quite a heat with just a touch of citrus and there’s some green fruit coming through towards the end. Finish: The fruity side of this sample really drives through on the finish. Loads of melon, kiwi, lemon, mint, a herbal note or two and just a touch of smoke. Comments: It’s tough to pick a favourite between this one and the lightly peated sample. I just love them both so much! 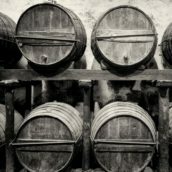 We enquired about the age of these casks and were met with a rather obvious answer – they’re old American casks! Nose: Much richer than previous two samples. There’s vanilla here backed up with Scottish tablet (if you’ve never had this, get yourself to Scotland now and buy some!) but a fruity edge to it too with some citrus, tangerine, lemon and grapefruit. Palate: Quite a rich texture to this one with a fair bit of fudge coming through. Very creamy with flavours of vanilla, tangerine, citrus fruits, banana, just a hint of wood and a kick of alcohol at the back. With water it got more and more fudgey. Finish: Fiery and sweet with a touch of peppermint. Comments: Although not my personal favourite, this clearly won the hearts of many on the night as there were several requests from people to have this one bottled too! Comments: This is so easy to drink. It’s fresh, easy going (almost too easy) and just divine. I wrote delicious at the top and circled it! That’s a big thumbs up in my world. To top off this fine selection of drams, we were provided with one final, very special, treat. This was one of the star drams at last year’s Whisky Show and we were rather pleased to have managed to get a bottle into the tasting. Nose: This one is big. Rancio, wood, dried fruit, lanolin, polished wood, some dried plums, old Christmas cake, sweet spice (cinnamon), touch of fudge, resin, incense, leather and a feeling of being in a traditional shoe shop. Palate: Big, rich, mouth coating and oh so creamy. Loads of sherry notes, dried fruits (fresh out of the pack), sweet spices, wood, Christmas cake, dark chocolate, After Eight mints, incense, coconut, hints of a vegetal character but also quite fresh too. Finish: Very long, rich and just utterly delicious! Comments: This was just such a fantastic whisky to finish the night on. 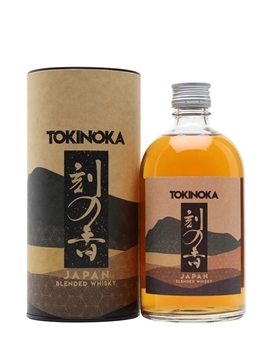 It’s rare that we see whisky that has had full-term maturation in Mizunara oak as they’re prone to leaking a lot. A very special whisky to end a very special night. Huge thanks to Shinji and the team at Suntory and also to Dave for hosting such a fantastic event. 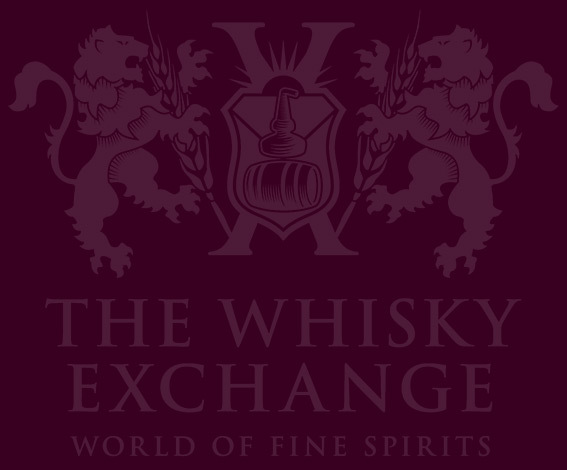 The new Distiller’s Reserves will be available at The Whisky Exchange (both online and in our shop) soon – we hope to have them by the end of March. 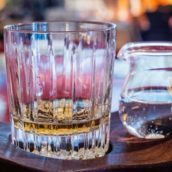 You can sign up to receive an email when they’re up on the website on these pages – Yamazaki Distiller’s Reserve & Hakushu Distiller’s Reserve. @TWEBlog @cowfish Guys, I wouldn’t trust @andrewrmilne. He’s done some seriously crazy stuff & I have the pictures (and scares) to prove it! 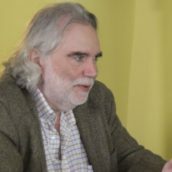 @TWEBlog @cowfish Great write up Mr @andrewrmilne – nice job pal!